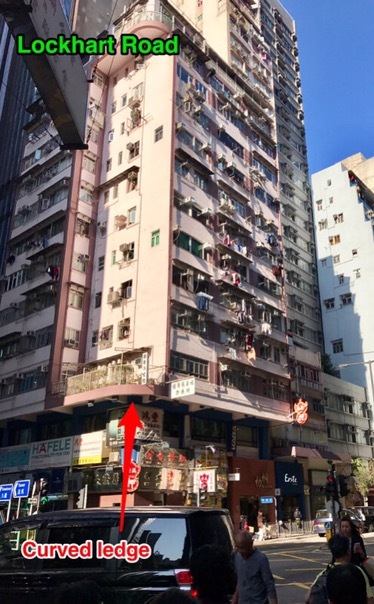 Bowen Road has been undergoing some remodelling and renovations recently, mostly slope reinforcements and a refurbishment of decade-old toilets 👍. But still no concession stands or octopus pay drink machines anywhere, which would be nice if LCSD could address. (I mean sometimes we forget to bring our water bottles and snacks for kids and ourselves…. how about allowing a pop up juice bar- coffee shop with croissants and bo-lo-baos that operates on weekends? Or a food truck?) Anyway, on my walk yesterday I noted the completion of a new playground off the fitness path. I really don’t know what to make of it. I think it’s neither here nor there. only two rocking horses and a small platform that's not even a slide. Oh yeah that's exciting. Yawn. A badminton court surrounded by trees. Hmm, great for blocking the wind I suppose but kind of dark and enclosed. It seems like a bit of a tick the box we have these facilities type thing. What a waste of money. 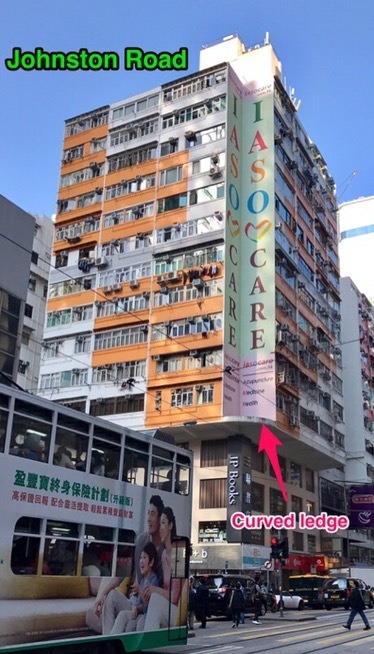 To get kids and parents to go down those stairs to get to rocking horses and then back up is probably too much for most Hong Kong families. Mums with babies and toddlers wouldn’t go if they had a stroller. Who is this for exactly? Someone who has a kid of 2-5yrs and a 2 teenagers who play badminton? ok, the space and area layout is sort of awkward but they should have done a fun looking playground based on a theme. Or just put in an awesome swing set with a view. Maintaining it is quite a job in itself too. Poor sweepers looking at the stairs are likely to hate it. Wish those in charge had been a little more innovative in design, then maybe it would be worth the effort. If you want to see what inspiring playgrounds look like, check out the pics at the end of this post. Tip: Get your walking shoes on and walk everywhere. 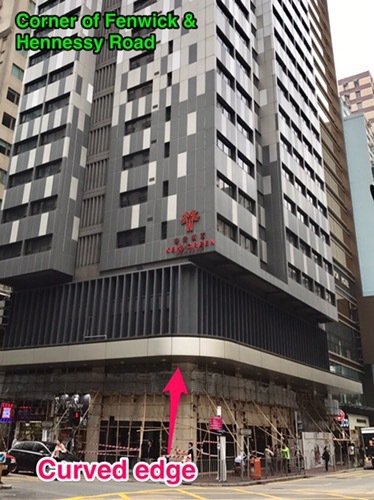 This weekend is especially crazy in Wanchai due to the Chinese President’s visit. 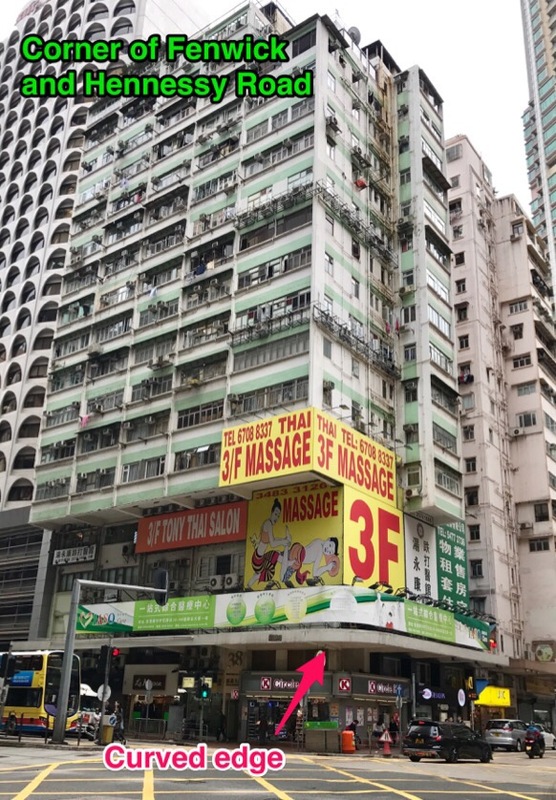 Police are all over Wan Chai, in the MTR stations, patrolling the streets, policing bad street parking. It’s never been so quiet on the roads on a weekday. No honking of cars, no fire engines and ambulances roaring by every half an hour. The MTR station is chock-a-block, full of people every minute of the day. No one wants to use the buses due to diversions and possibly long traffic jams in any given direction. 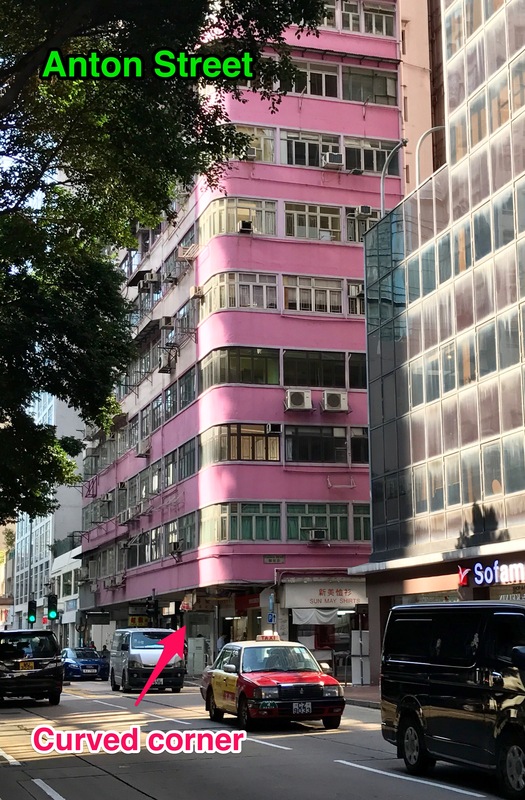 If you’re planning on catching the fireworks in Wanchai, it’s best you secure your spot well before 7pm when the lockdown begins. And police have full discretion over when the roads re-open… it could be early tomorrow morning. 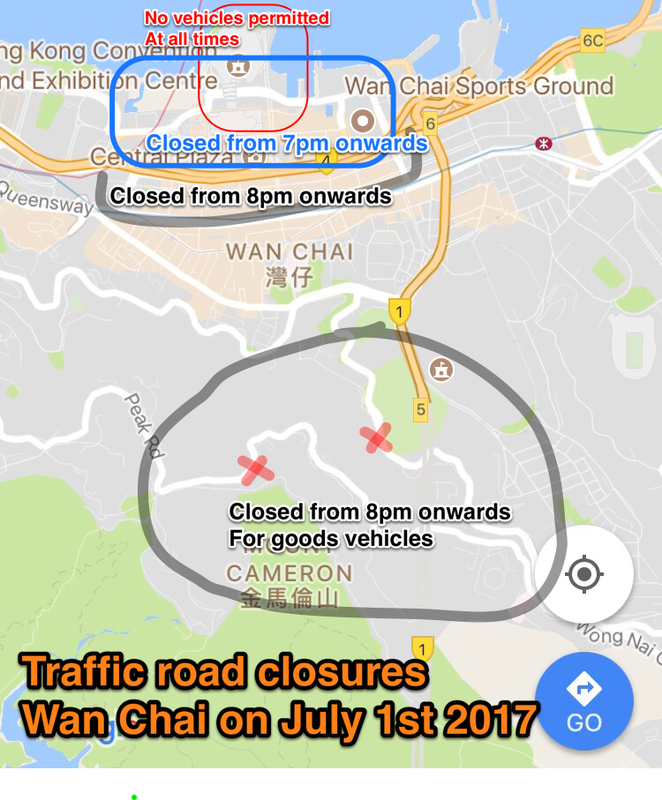 Here’s my hand drawn map (based on information from the traffic department) to give you an idea of the chaos that could ensue given that half of Wanchai could be closed tomorrow evening. The area around the Convention centre and Grand Hyatt and Renaissance hotels is already on lockdown as the President is staying there with his entourage. The hosting and toasting will also happen there so count on the roads being exclusively used for anyone going to the party. The Stubbs road closure for heavy goods vehicles and all lay by areas is in anticipation of lots of people heading up to the Peak to watch the fireworks. It will really be mass pandemonium up there since the weather is perfect for fireworks right now. This dinner is on tonight at 6pm. 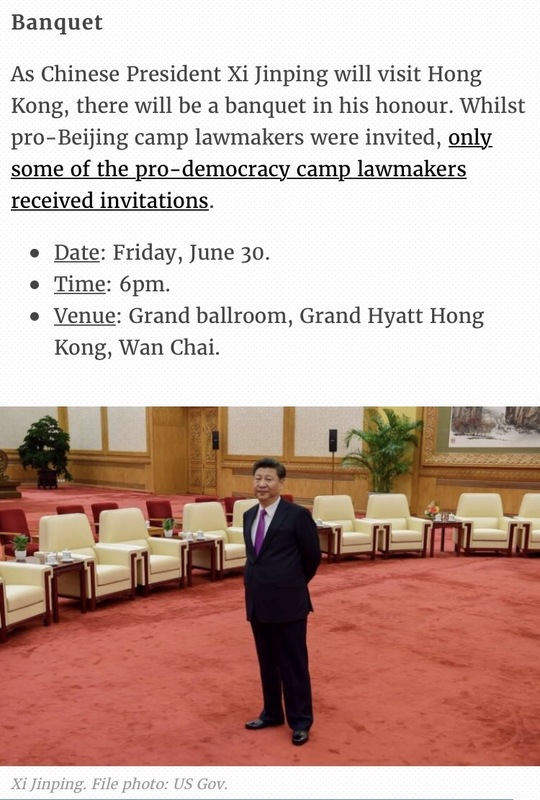 But we’re not invited so just stay away! 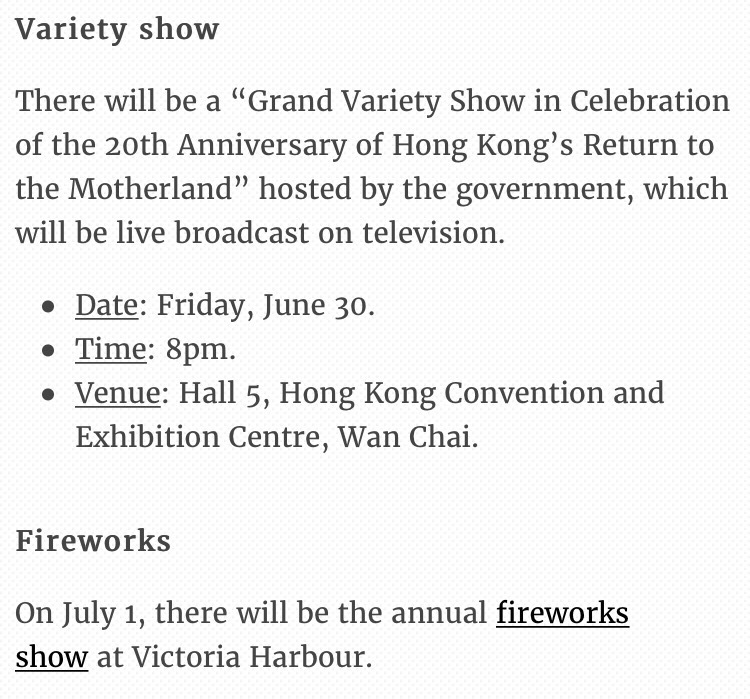 Then the VIP entertainment at 8pm. It’s on TV so you can watch it at home (if you have a TV). A dragon dance on Sunday at Southorn Playground between 4-9pm. A football match you can view tomorrow (Saturday) between 9am -2.30pm at Southorn Playground. Free rides on the Star Ferry between TST and Wan Chai and TST and Central all Sunday when the festivities are over and the VIPs have left. 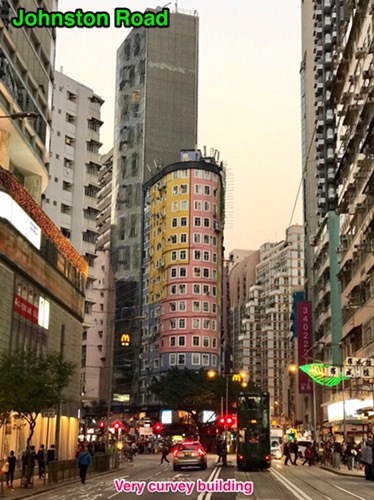 In Hong Kong, the grubbiest residential buildings stand insolently next to flashy skyscrapers, mirrors reflecting sunlight and steel glinting like unsheathed swords against the sky. 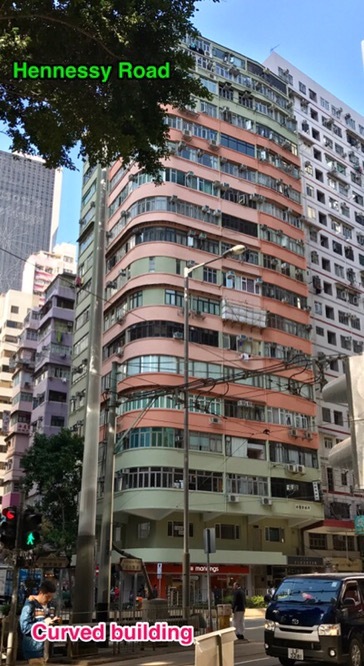 Buildings weren’t always designed to maximise square footage by being square. Neither did they incorporate angles which could “cut” their neighbours feng shui. 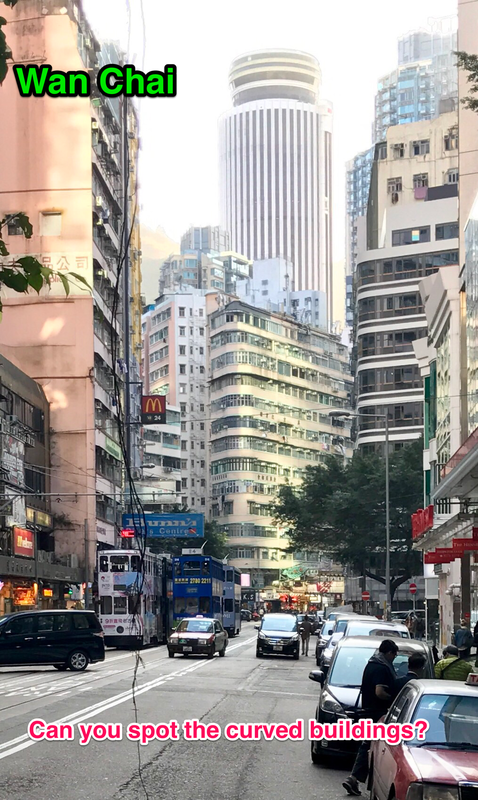 The rounded corners are a style snapshot in time 1960’s or before, incorporating the best design for feng shui… especially in Wan Chai where roads and intersections can go off at crazy angles. 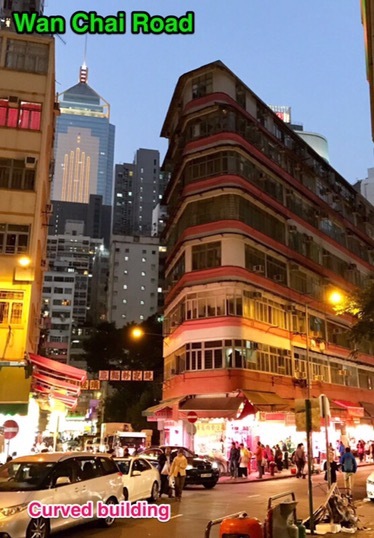 A few old and modern buildings retain the curves, let’s take a look at the ones in Wan Chai. 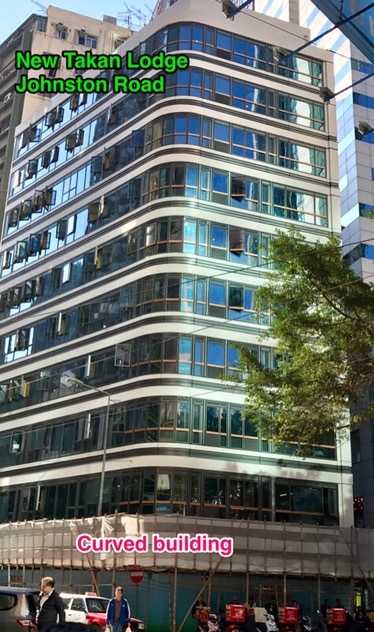 Here are buildings that have incorporated the curve into the design. 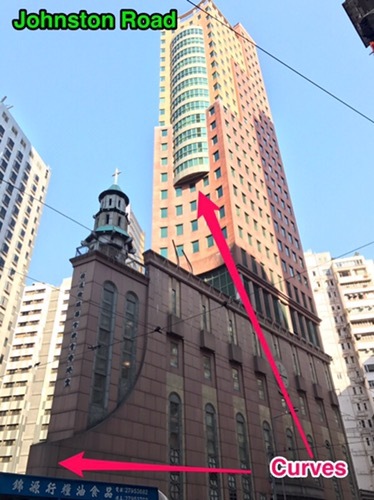 Of course the only completely round building in Wanchai is Hopewell Center. 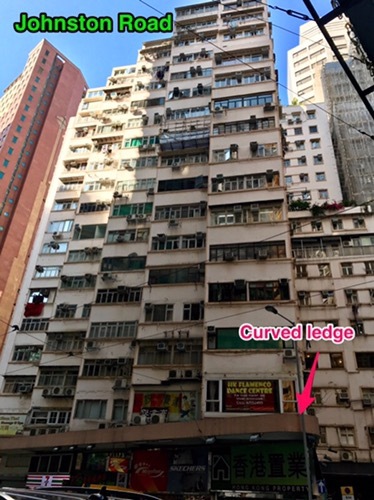 Then there are the buildings that “cheat” and incorporate a rounded ledge. 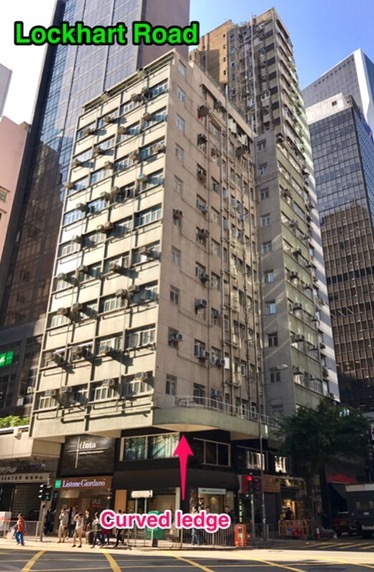 Try spotting these buildings on your next walk around Wanchai. 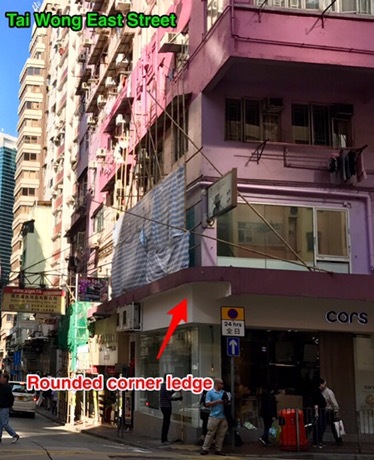 You can read a little more on the fate of a curved Pawn Shop. It’s already been torn down. 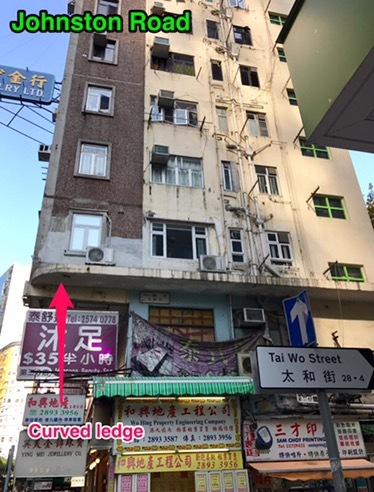 There’s also the haunted house of Wanchai which is curved. However it’s not accessible to the public as Hopewell is constructing its new hotel and convention center, so you can read about it here. The building in this photo no longer exists. 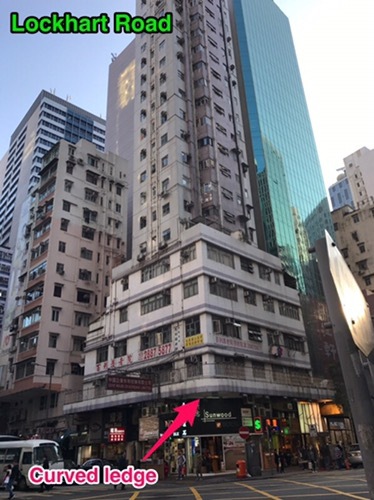 A very famous curved building, Old Wanchai market. 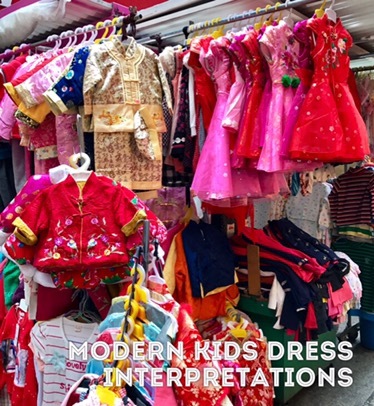 The Chinese lunar new year brings a shopping bonanza to Wan chai market. 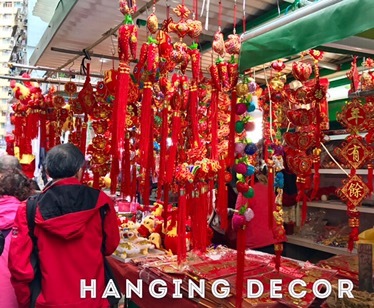 Everyday no matter the weather, people turn up in droves to look at home decorations and the latest lunar new year fashion. It is tradition to wear new clothes during the new year period, and this extends to underwear and home furnishings. Yup, you can get almost anything in the “Chinese new year red”. Here are some photos to show you what it’s like. 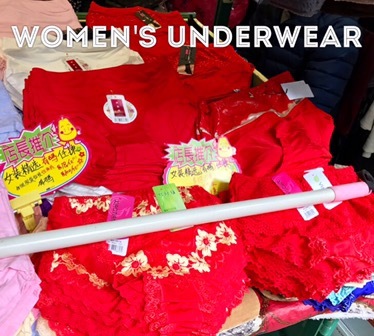 First up, underwear. If you fancy a bit of gold “fuk“( pronounced foook meaning wealth and luck), well, you’re in luck. Go superman. Next up, red socks, stockings and slippers. 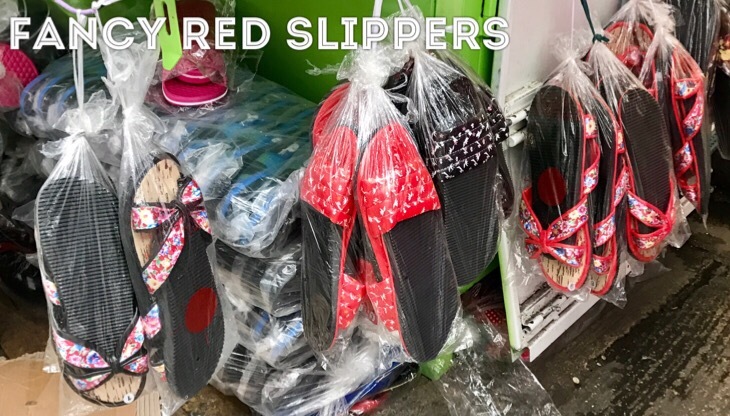 It’s a bit chilly and these red footwear and accessories might get you a few compliments. 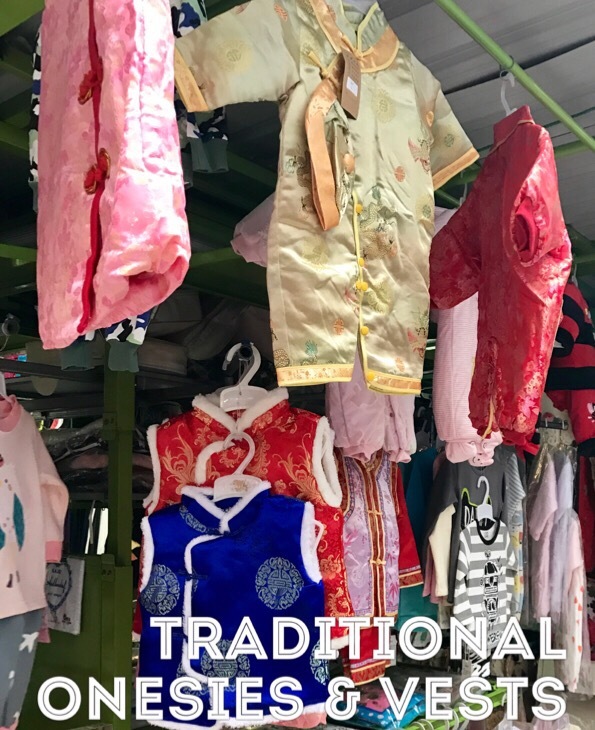 The stalls selling kids traditional clothing get a lot of attention. Lots of mommies just have to stop and browse. You’ll see lots of kids in traditional garb walking around, schools are asking kids to come in festive attire. Brighten up your interior and sofa with red cushions? Lots of cushions getting lots of attention. 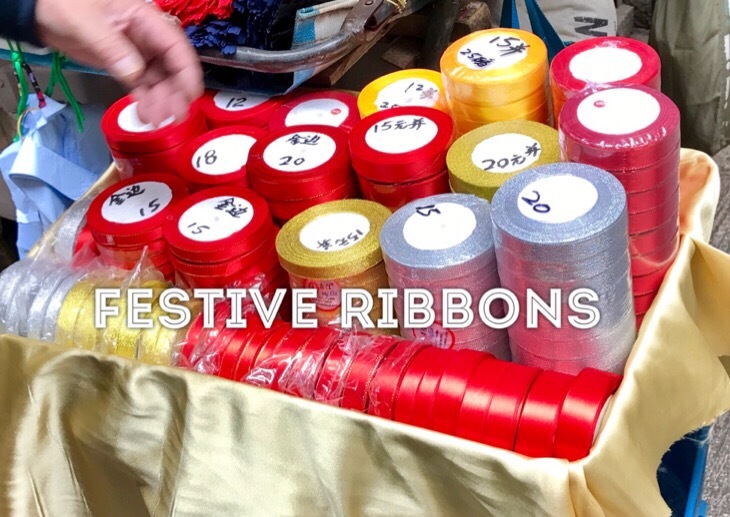 Red ribbons for your own designs. All sorts of hanging items. 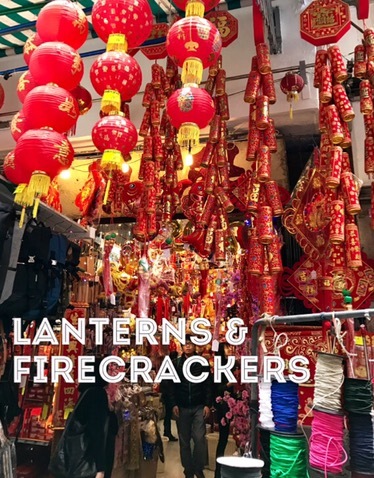 If you’re looking for lanterns for your doorway, hit Tai Yuen street. 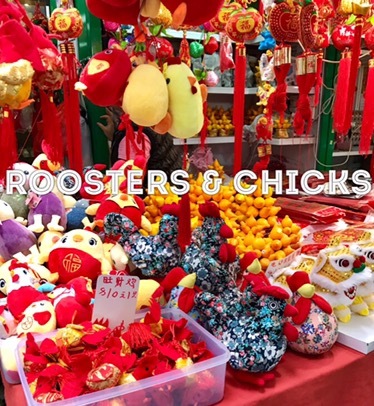 This stall selling cute roosters can be found along Cross street. This is the seasonal stall. 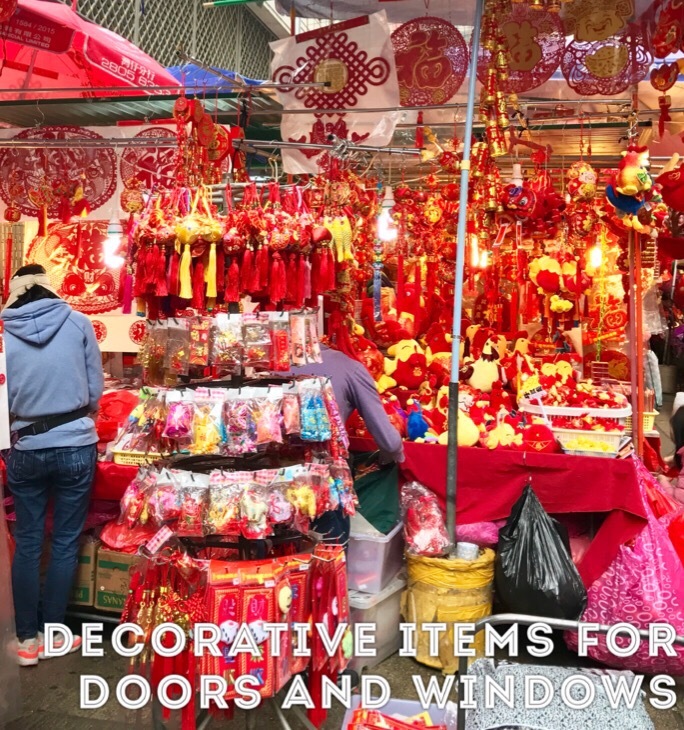 Usually a hat shop, they convert fully to CNY decorative items for the 3 week season. 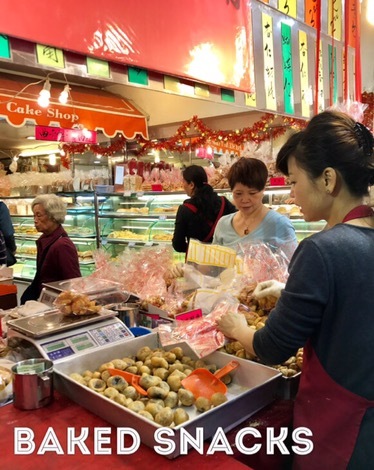 If you’re looking for festive snack trays, you’ll find them at the household shops along Wan Chai road. 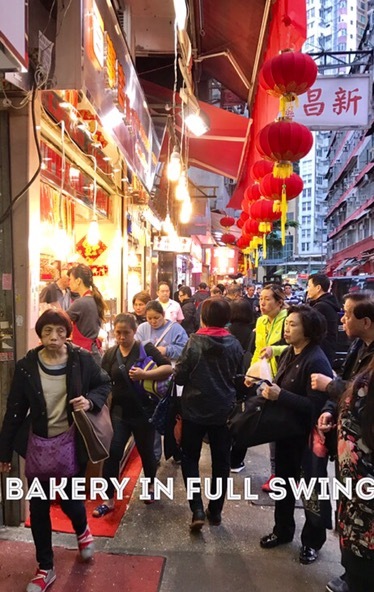 I was wondering why this bakery had developed a mass following, people were hogging the pavement. Everyone was waiting for 5pm when discounts apply to all the baked goods. These baked puff snacks in particular seemed to be getting a lot of attention. All this lasts until Chinese New Year which is on the 28th of January. 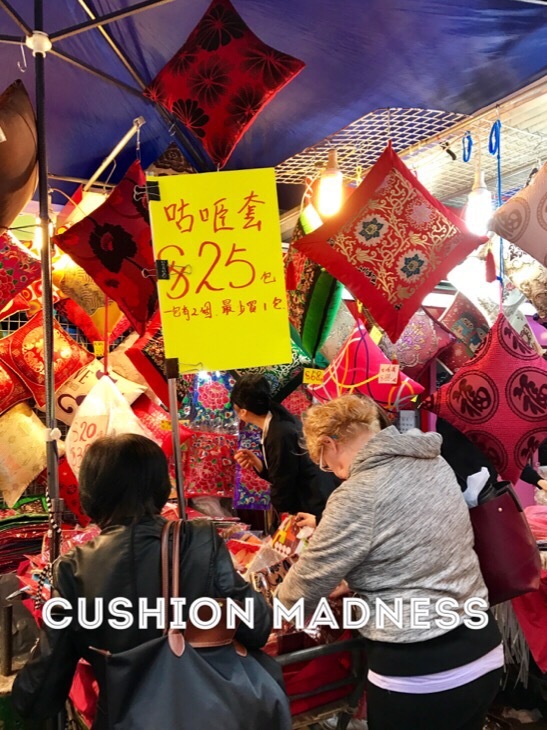 Many stall owners will be on vacation for two weeks after that, visiting relatives in China or just taking a break. 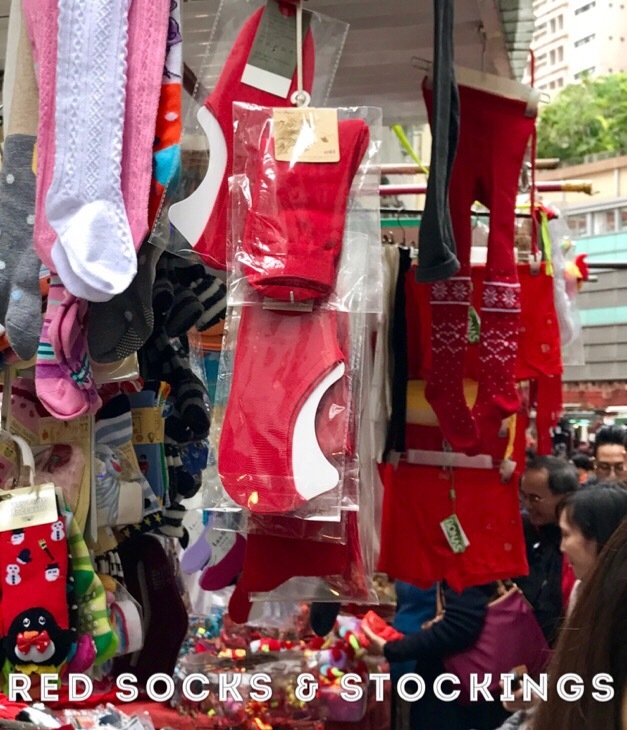 Everything gets a little pricier during this time, but as chinese people say, it’s only once a year! 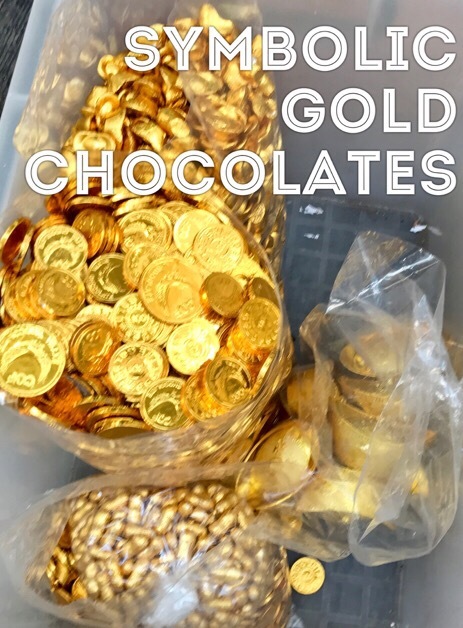 Let’s not forget the goodies for the table, red melon nuts and gold chocolates.